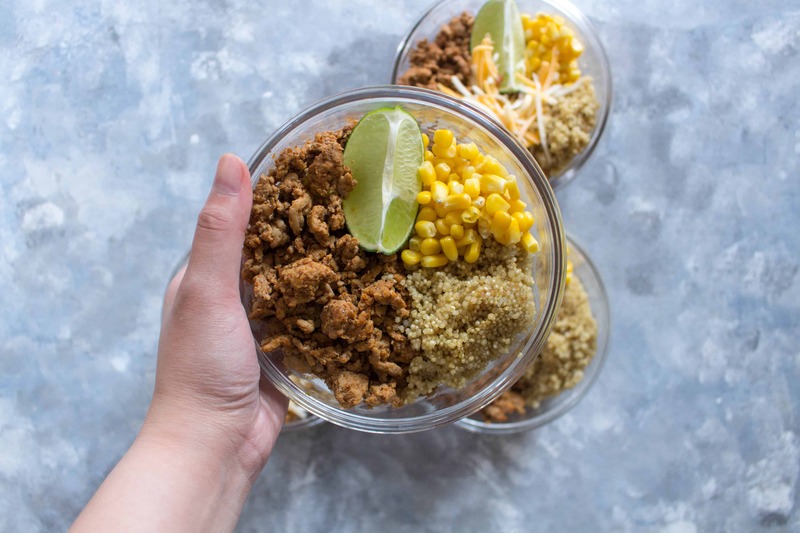 A healthier version of the popular taco bowls for lunch, this healthy turkey taco meal prep bowl will have you reaching for seconds! Made in under 30 minutes, it’s simple but delicious! 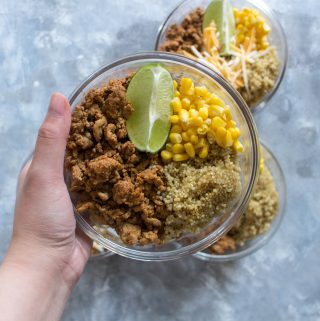 click here to pin this healthy turkey taco meal prep bowl for later! Have you noticed a trend lately with these meal prep bowls? I’ve been trying my hardest to avoid paying Chipotle my hard earned money during lunch as they’re literally across the street from me and it is so easy so just pop over for lunch. 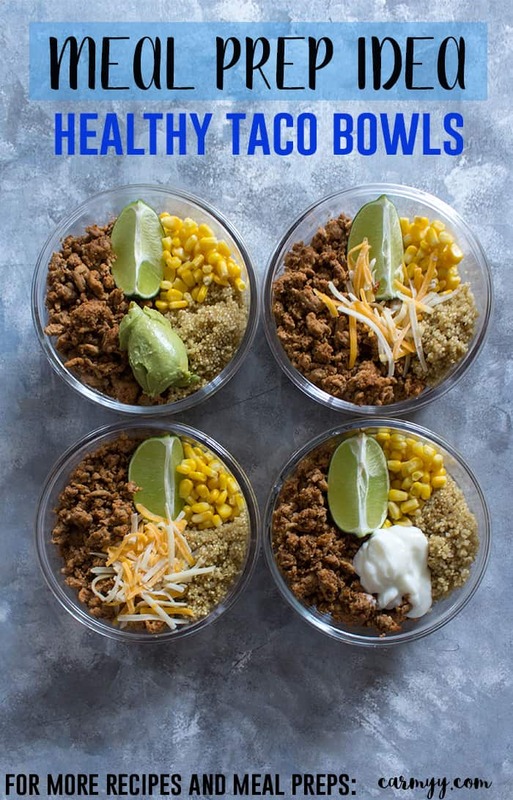 But sadly, my wallet does not agree with my stomach so as a compromise, last week, I shared my Chipotle Chicken Meal Prep 4 Ways and this week, I’m repurposing some of those ingredients that I bought in bulk (corn and quinoa) and made Turkey Taco Meal Prep Bowls! I use Better than Buillon in Chicken to cook my quinoa in to add some extra flavour. Check out other flavoured stocks to change the quinoa flavour up! 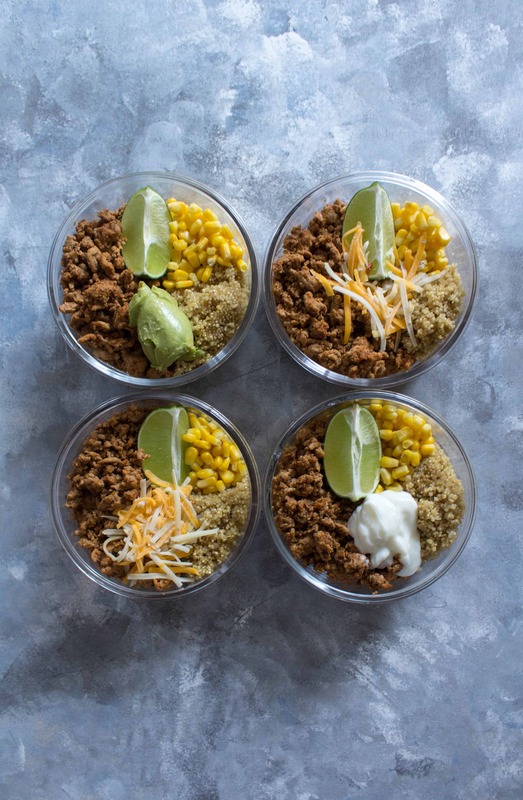 A healthier version of the popular taco bowls for lunch, this healthy turkey taco meal prep bowl will have you reaching for seconds! Made in under 30 minutes, it's simple but delicious! If you're using frozen corn, bring a pot of water to boil and cook your corn. While the quinoa is cooking, start cooking your turkey with the garlic and taco seasoning. 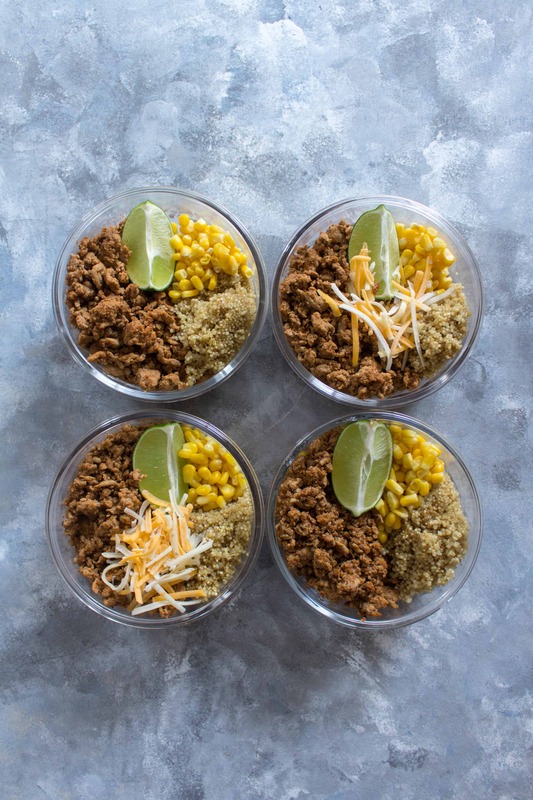 Once everything is done, assemble the meal prep bowls by dividing up the turkey, quinoa, corn, and lemon wedge. 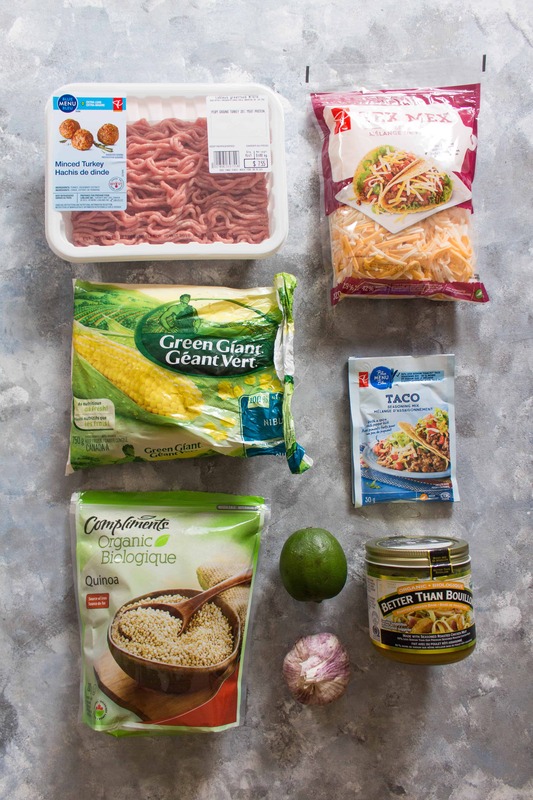 Optional toppings include guacamole, sour cream, and yogurt but it needs to be added when serving as it cannot be reheated!